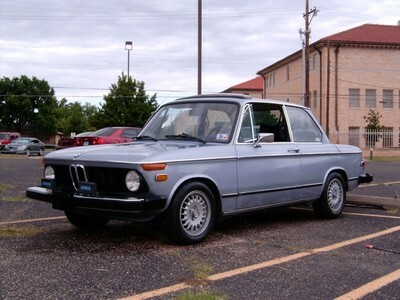 I'm slowly converting my `76 2002 to EFI using a Megasquirt II computer, Ford EDIS4 for ignition and 1984-`85 BMW 318i intake hardware with an E30 325i throttle body. I'm currently only running ingition control, but I will hopefully be able to add the rest of the fuel injection stuff soon. As for the EDIS/Megasquirt II setup, it's awesome. My ignition advance curve is great and acceleration is smooooooth. Not sure you will get this or not since you posted in may. Looks like the car is coming along nicely on your blog. 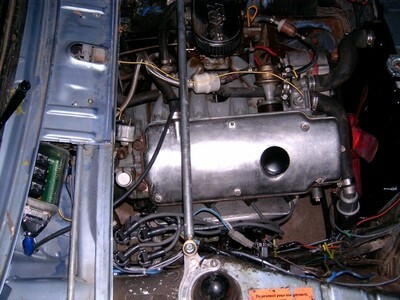 I just did the MS2 and EDIS in my 1984 318i, and since we use pretty much the same M10 motor I was wondering if I could check out your VE/AFR/Spark msq's? I'm having a hard time getting mine dialed in and it would be nice to have a comparison!Post them here or PM/email me. It's been a fun project, of course mine wasn't as much of a conversion other than getting rid of the distributor, really more in anticipation of future engine upgrade tunability!